Maxine was born on April 3, 1943 to Violet and Norman Bjerk and grew up in Ada, MN. In 1958, Maxine was united in marriage to David Bjorge. They were later divorced. Maxine lived in various communities throughout her life and worked as a caregiver, helping people which she so enjoyed. Her smile and that twinkle in her eyes showed you immediately how much she cared. Her children, grandchildren, great grandchildren, sisters and brother, nieces and nephews, were so very important to Maxine. She loved being on the water and spending time with her family. Maxine is survived by her four wonderful children that she dearly cherished, Julie Martin (Charlie Clark) of Plymouth, MN, Scott (Betty) Bjorge of Brandon, SD, Lori (Tim) O’Connor of Owatonna, MN, Karen (Jeff) Sartor of Faribault, MN, 10 grandchildren, 11 great grandchildren, sisters and brother, Kay (Irv) Novak, Faribault, MN, Valarie (Jim) Tracy, Florida, Jack (Lavonne) Bjerk, Ottertail, MN. Maxine was preceded in death by her parents. 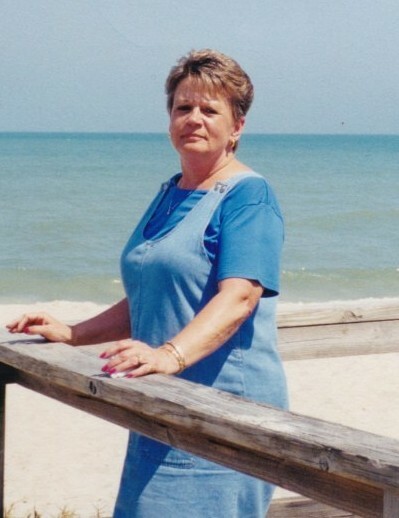 Maxine’s funeral service will be held Monday, November 5, 2018 at 11:00 am at the Brick – Meger Funeral Home (1603 – Austin Road, Owatonna) with lunch following the service. Friends may greet the family from 9:00 am until the time of services on Monday. A special Thank You to the wonderful staff at Allina Hospital, Homestead Hospice House of Owatonna.